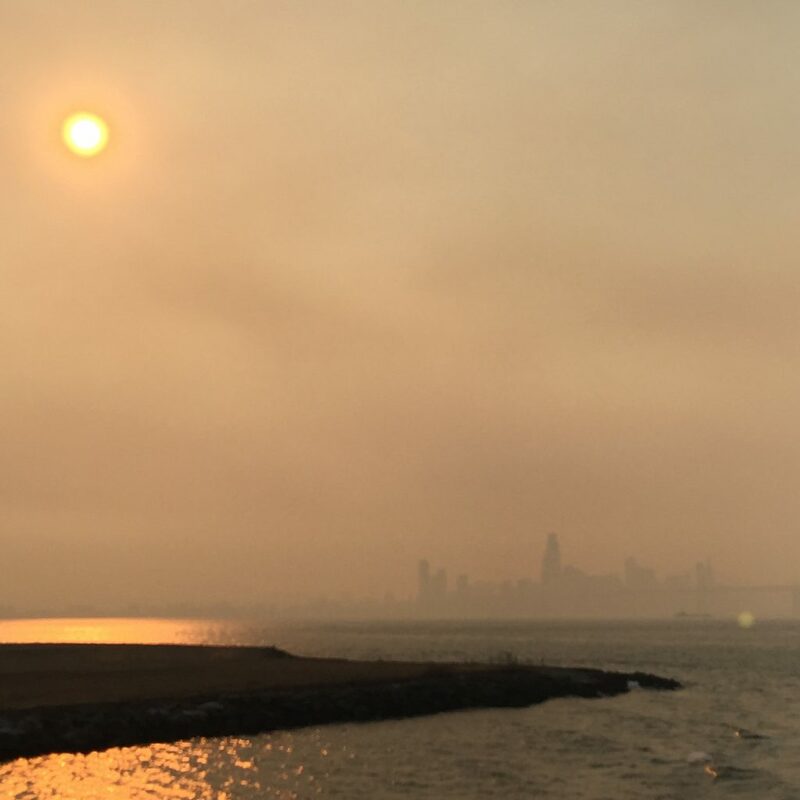 This was taken from the ferry to Alameda in 2017. Today the San Francisco skyline would not even be visible. California is burning again and the devastation is incomprehensible. The entire town of Paradise was leveled in the Camp Fire. Seventy-one known deaths and over 1,000 people are unaccounted for as of 11/16. I can’t even wrap my head around that. My heart is broken for the families who have lost loved ones (or haven’t been able to locate them), and for the people who got out alive but lost everything else. The air quality in the Bay Area is so poor that masks are no longer a novelty but a necessity. I’m grateful for the firefighters who put their safety on the line every day fighting the fires all over the state. And I hope that California enacts reforms so that the prisoners whose labor is being used to fight these fires have access to these jobs once they complete their sentences. Especially since climate change has made major wildfires the new normal. I pray for the safety of those still in harm’s way and for those who have a long recovery ahead of them.